This 21-and-older event allows guests to enjoy winter beverages while viewing the Zoo’s spectacular holiday light display. More than five million twinkling LED lights will brighten the evening sky and illuminate buildings, animal sculptures and trees on a half-mile trail through the front of the Zoo. Polar Beers includes admission and 12 beverage samples (additional tasting tickets and food are available for purchase). 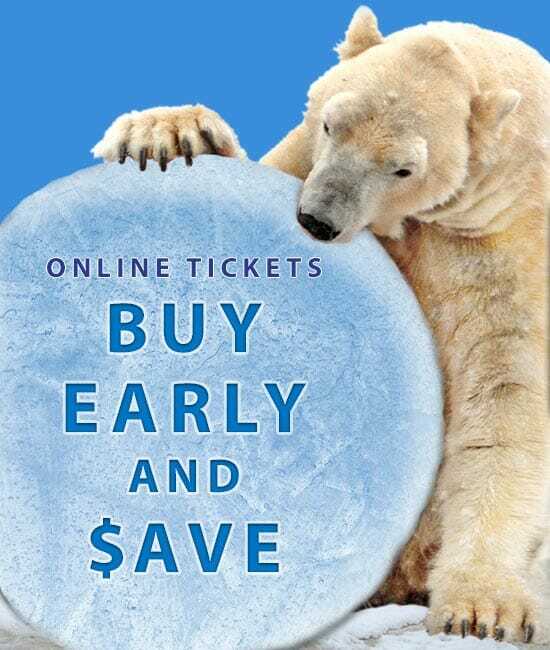 General admission tickets are $45 and go on sale to Detroit Zoological Society Members on September 20. Tickets go on sale to the general public September 27. Advance ticket purchase is encouraged as space is limited and the event may sell out. Tickets will be available online or at the gate (if not sold out). A limited number of Polar Beers VIP tickets are available. For $85, guests will receive all of the features of the general admission ticket plus unlimited food, private admission through the Rackham Fountain Entrance with exclusive access to the VIP lounge (located in the Ford Education Center), four additional beverage samples and a commemorative gift. Designated Driver (DD) tickets are $30 and include Zoo admission, unlimited soft drinks and hot cocoa. DD ticket holders are not permitted to consume alcohol at the event. Designated drivers must be 21 and older to enter the event. All attendees must be 21 and older; photo ID is required. Parking is $8 per car for Members and non-members. The Holden Reptile Conservation Center, Jane and Frank Warchol Beaver Habitat and Edward Mardigian Sr. River Otter Habitat are open for the evening. The Polk Penguin Conservation Center, Wildlife Interpretive Gallery, and all other buildings are closed for the evening.